Your inside connection to all the LGBT-related news that matters in Ohio and beyond! “Beauty and the Beast” isn’t necessarily my favorite Broadway offering, but it has some sentimental value for me personally, which is why I had to take part in it’s week-long run, currently housed at the Palace Theatre in Columbus, Ohio. Though I’ve seen every Broadway tour to come through Columbus in the past six years, “Beauty and the Beast” is the only show I’ve actually seen on Broadway in the Big Apple, coupled with the fact that it was my favorite Disney movie growing up. I and my sisters often pranced about the living singing at the top of our lungs to Alan Menken’s popular score (much to my mother’s chagrin). The 1994 Tony-winning, Broadway blockbuster beautifully transforms from the screen much to the work of it’s top class costume (Ann Hould-Ward) and scenic designs (Stanley A. Meyer). The stage becomes a masterpiece all its own. Tim Rice joined the Academy Award winning team behind the movie to add seven new songs, but I wasn’t very impressed with the additions. Gaston’s “Me,” Belle’s “Home” and the Beast’s “If I Can’t Love Her” fall quite short in comparison to classics “Belle,” “Be Our Guest” and the title tune. 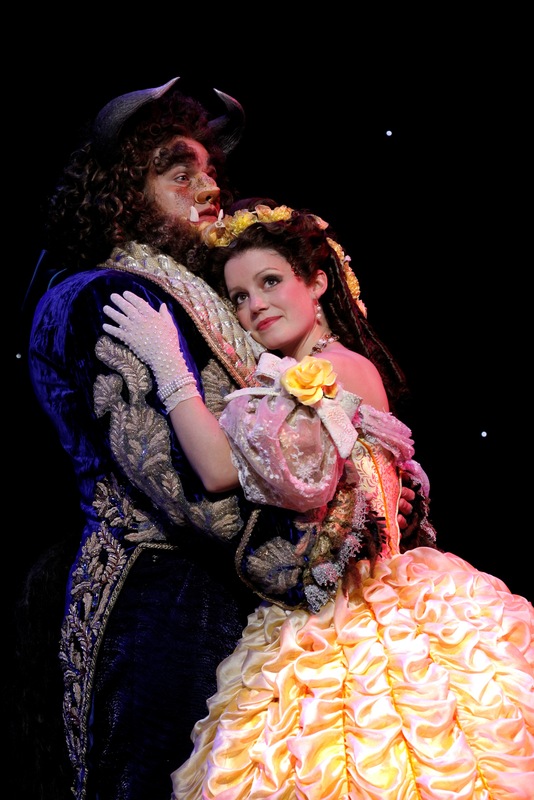 The cast however pulls out fantastic performances, especially Hilary Maiberger as Belle. It wasn’t until her act two aria “A Change In Me” did I really feel like I was watching a Tony-worthy showcase. The show also infuses a healthy dose of comedy, which I appreciated. Jeff Brooks as Gaston and Jimmy Larkin as his bumbling sidekick Lefou add hilarity with their Three Stooge-likes physical comedy exchanges. “Beauty and the Beast” is definitely more of a showcase for your kids, the bright costumes and colorful moving backdrops, paired with the physical comedy will keep any 6-year-old on the edge of their seat, but as for me I’ll stick to with my fond memories of the film. “Beauty and the Beast” runs through Oct. 14 at the Palace Theatre, 34 W. Broad Street, Columbus. Visit CAPA.com or Ticketmaster.com for more information. Hiya, I’m really glad I’ve found this information. Nowadays bloggers publish just about gossips and net and this is really frustrating. A good website with interesting content, that’s what I need. Thanks for keeping this site, I will be visiting it. Do you do newsletters? Can not find it. That means they’ll host your guest blog if you’ll host theirs. Others prefer to make free Google pages out of their recipes and claim that it helps their stats by allowing people to search and find their site. The Other Side: LGBTQ Youth of Color – Are the stats telling the whole story?